Former Manchester United and now PSG winger Angel Di Maria has revealed he was close to signing for Barcelona when Neymar joined PSG on a record breaking deal. In an interview with Tyc Sports, he revealed he had a talk with Barca but the talks later collapsed late on. "My move to Barca was really close but ultimately it did go through." "I have started the year on a really good level and I am happy, that I am assisting goals is great because I prefer that to scoring." 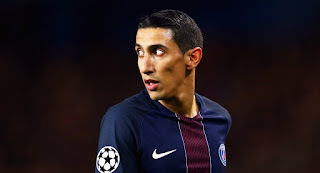 Di Maria has recently become a key figure in PSG's attack as he has been scoring and assisting goals since the beginning of the year.